All modes of discourse have a purpose. To entertain, to inform, and to persuade are all valid purposes for speeches. Antony's funeral oration is intended to persuade his audience, and he uses various rhetorical strategies to achieve this purpose. 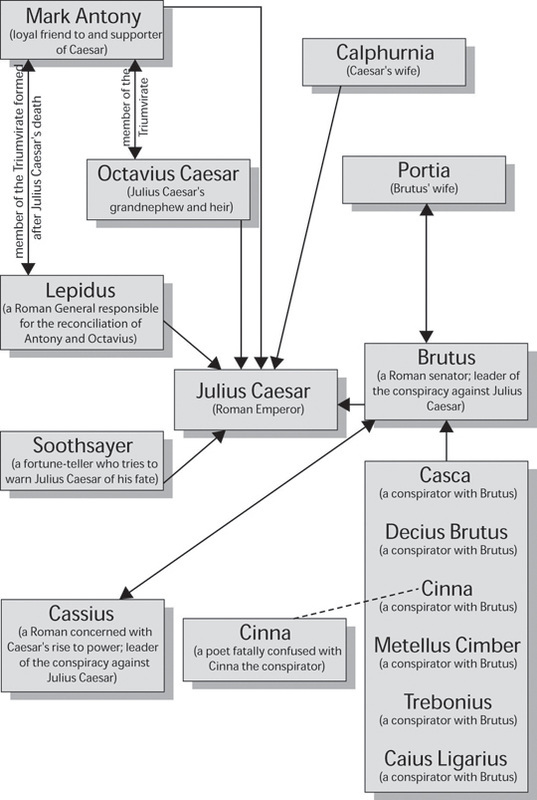 As we read Julius Caesar we will follow the characters closely, especially Antony, to determine his ethos, so we may determine how he uses pathos and logos to affect. Shakespeare, one of the most famous bards, wrote Julius Caesar based on the actual life and death of the Roman leader. In order to understand the motives of Caesar and the people around him we'll need to delve into the world of ancient Rome. We will also need to become familiar with the conventions of the Elizabethan playwright. Click on the title of the play (above) or the picture of Caesar (left) to access the PDF of Julius Caesar. After we view Act 3, you will analyze the two eulogies for Caesar. What are the purposes in giving the speech? How do they use rhetorical devices to help them fulfill their purposes? To what degree are they successful? The first step in analyzing these speeches is to reread them carefully, annotating them for rhetorical analysis. As you read the play, keep in mind the traditional Roman virtues to which Shakespeare attempted to adhere in the story of Julius Caesar's life and death. Analyze the character traits of the following leaders in the play by Tracing the Characters. 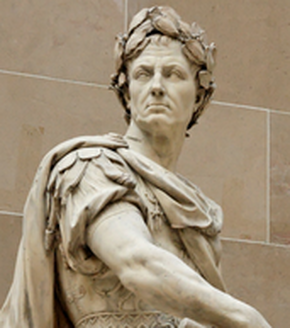 After you read Act 3, you will analyze Antony's eulogy for Caesar. What is his purpose in giving the speech? How does he use rhetorical devices to help him fulfill his purpose? To what degree is he successful? The first step in analyzing this speech is to reread it carefully, annotating it for rhetorical analysis. Independently, annotate the speech by underlining/highlighting, as well as making notes in the margin about how the speech "works." In groups, you will put your observations in writing. ﻿We will watch the play first. Then, we will go back and read act three in preparation for a rhetorical analysis essay on one of the speeches.